Before prom queens came May Queens, and at North Carolina women’s colleges, May Day celebrations captivated audiences statewide. ­­­Come one, come all, revelers young and old. The sweet smell of azaleas wafts through the air, inviting and familiar, as you take your seat in the grove and wait for the program to begin. If you listen closely, you can hear the sound of freshly starched tarlatan rustling as the women in the May court lift their dresses off the ground to take their seats. Now hush, and watch! The show begins, boasting plays, singing, and of course, a dance around the maypole. You watch the college May Day celebrations every year, but something about watching a new woman get crowned the May Queen never gets old. Luckily, the students feel the same way. No matter the weather, cost, or time demanded for planning, May Day was revered by college students and the community alike as the ultimate celebration of spring. While it was celebrated across the country, it held a special significance in the South, where the lush and vibrant season has always been so effortlessly felt with all the senses, from the brush of a warm breeze to the smell of a Magnolia tree. Originating from Europe during the pre-Christian period, May Day marks the midpoint between the spring equinox and summer solstice, representing springtime, fertility, and light for those who recognized it. Festive community celebrations were an old tradition brought to the United States by European settlers, and the crowning of the May Queen and dancing around the maypole are key American adaptations of the event. 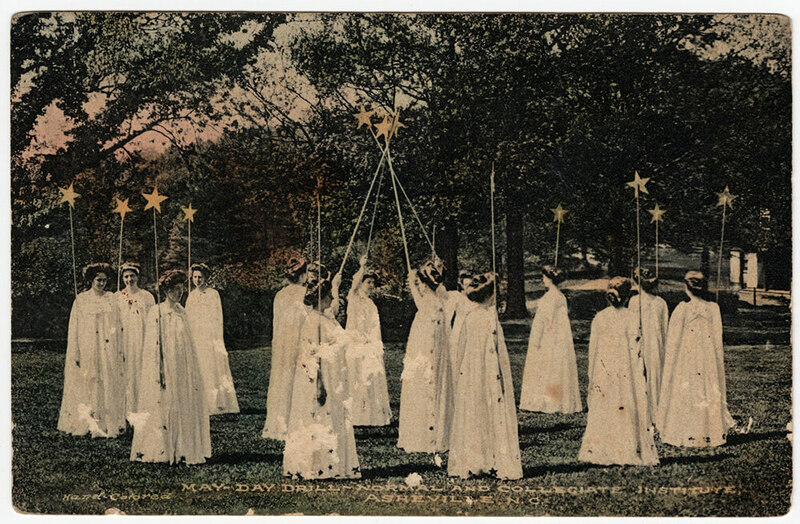 The festivals were particularly popular at women’s colleges and rose to prominence in North Carolina schools during the early 20th century. Bennett, Meredith, Salem, and Flora MacDonald (now Highlander Academy) colleges and the University of North Carolina at Greensboro, among others, all have a history in celebrating May Day on their campuses. May Queens were typically elected by the student body, chosen for their kindness, beauty, and social status. 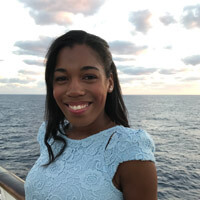 Joined by her May Day court, which comprised a few student-representatives from each class, the queen sat above the celebrations as her peers performed dances and entertained her. Most school’s athletic department or performing arts department coordinated the day, and nearly the entire student body would participate at some point during the celebration. The festivals, many of them lavish affairs, were not to be missed. UNCG, however, was the true purveyor of pomp and fanfare. During the 1912 and 1916 May Day celebrations, over 1,000 entertainers participated in five hours of pageantry, parades, and performances. Advertisements and announcements were placed in newspapers months prior, attracting North Carolinians from across the state. The May Queen and King, regal and poised, sat atop floats during the parade, and students performed three different plays throughout the day to guarantee those who made the trip would not be disappointed. More than 3,000 people attended the 1912 celebrations. Not all May Day celebrations required schools to spend lots of money. Several schools left students responsible for creating the May Queen’s gown, often made using inexpensive material but accessorized with frills and other details to make the dresses beautiful. Meredith College students were especially resourceful. 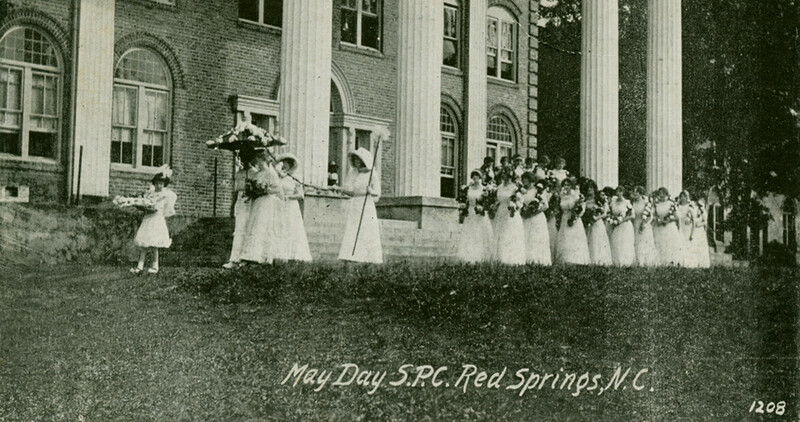 During the school’s first May Day in 1926, “Margaret Cone Tucker looked no less queenly for having her train made of a lace curtain,” recounted a Meredith College history book. At Bennett College, no one could steal the thunder from its May Court on May Day — not even the sky. During the 1964 celebrations, “despite the inappropriateness of the weather … the loveliness of the queen, Laura Coleman, and her attendants over-shadowed the austerity,” the student newspaper The Bennett Banner reported. See video documentation of a 1939 May Day celebration, courtesy of Meredith College. As the 20th century came to a close, May Day was phased out of the annual traditions celebrated by the schools. UNCG stopped celebrating May Day in 1954 due to the time and money that the festival demanded so close to graduation. At Salem College, the May Dell, an outdoor amphitheater with a namesake that traces back to the celebrations, is now used for social and educational gatherings since the last May Day festival in 1969. Meredith College students were divided by a motion to end Spring Dance, heir to May Day, in 1975 with one group of students fiercely loyal to upholding tradition and the other asking, “Isn’t there some useful, meaningful way in which to direct our efforts? Or shall we remain the silly, pampered maidens of the 19th century?” After Flora MacDonald College closed 1961, the school that took its place, Vardell Hall, continued the May Day tradition in its nine years of operation. Now Highlander Academy, the school that currently occupies the former college’s grounds, is one of the rare institutions that still celebrates the holiday that was widely embraced decades prior. Today, May Day is an antiquated celebration of springtime, youth, and community. As the faint perfume of mid-spring blooms hang in the air, so does the memory of a time when college women worked together to bring their school and community together to celebrate spring.